480 B.C. Before dying at Thermopylae, King Leonidas gives a sealed letter to an officer, Alastor, ordering him to return to Sparta to give to his wife Gorgo. Why is the city’s best warrior leaving the battle? This is the story of the man who was born and raised as Perseus, the son of King Demaratus. The victim of palace intrigue, he lost his claim to the throne and had to learn to survive as an ordinary warrior. 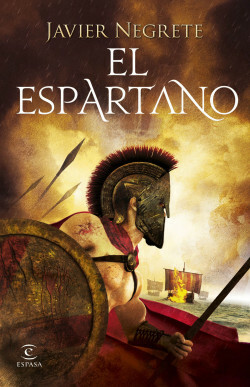 As he forgets the man he had been and was destined to be, he successfully negotiates a thousand tests to become another person entirely: Alastor, just another Spartan... but also a champion among champions. Meanwhile, he is forced to watch Gorgo, the woman he loved, marry a member of the family that ruined his life. Negrete is an author with extraordinary spirit and modernity. His novels are just as exciting as historical style super-productions such as Game of Thrones, Vikings or Rome when it comes to narrative pace and the ability to create an atmosphere. He is as good at creating characters as he is describing battles.